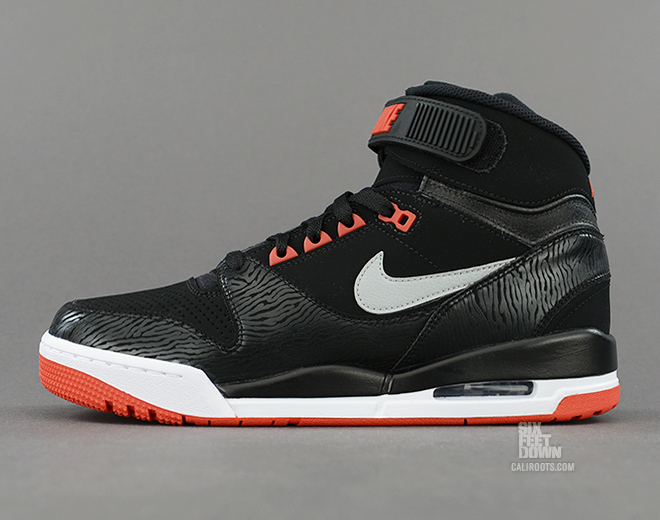 Nike Sportswear drops another colorway of the retro Air Revolution this week, this time arriving in Black / Silver / Red. 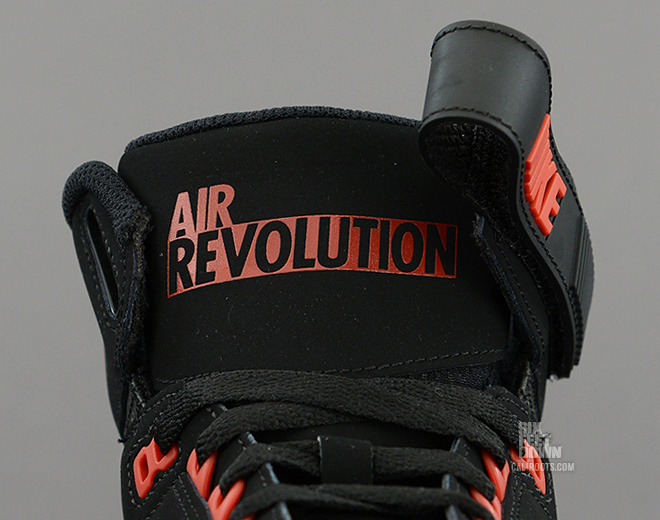 Nike Sportswear drops another colorway of the retro Air Revolution this week, this time arriving in Black / Silver / Red. 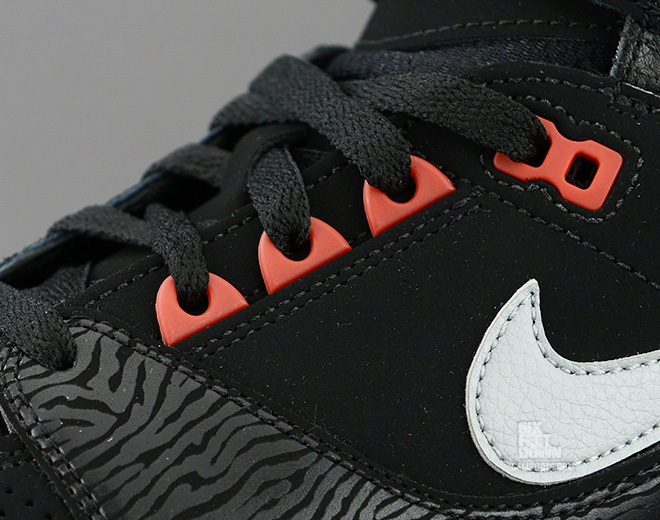 The shoe features a black suede base with zebra print leather overlays, highlighted by red and silver accents. 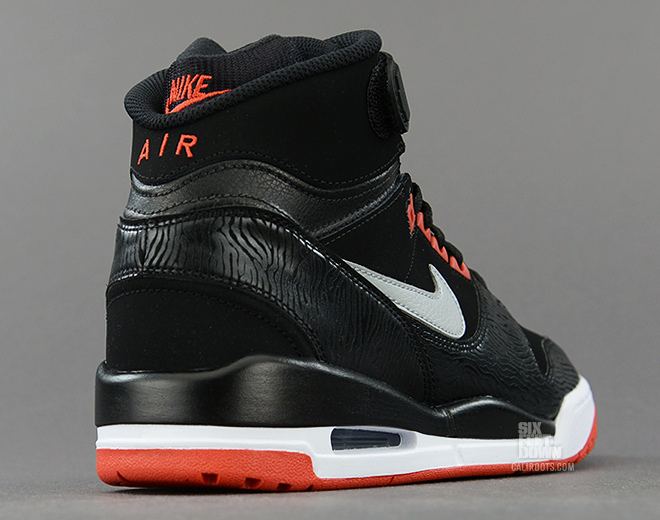 A black and white midsole, coupled with a red outsole, complete the colorway. 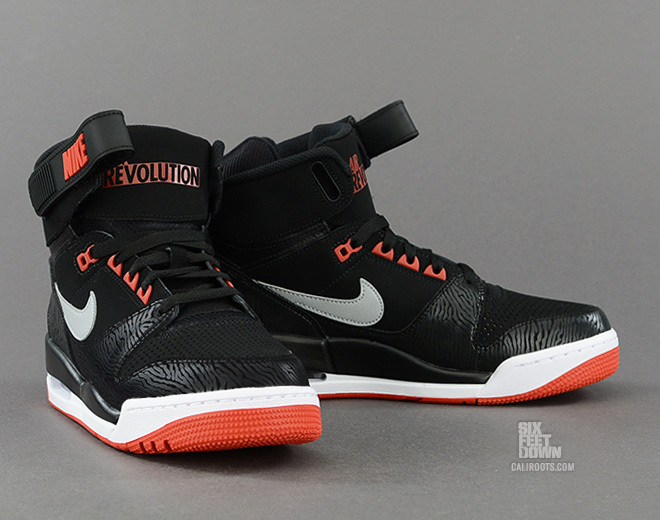 The Nike Air Revolution in Black / Silver / Red is available for order now at Caliroots.